Did you know that over 50% of the waste schools make are recyclable paper? Setting up a recycling program that allows each classroom to recycle their paper and plastic waste can greatly help your school reduce the amount of waste it sends to landfills. 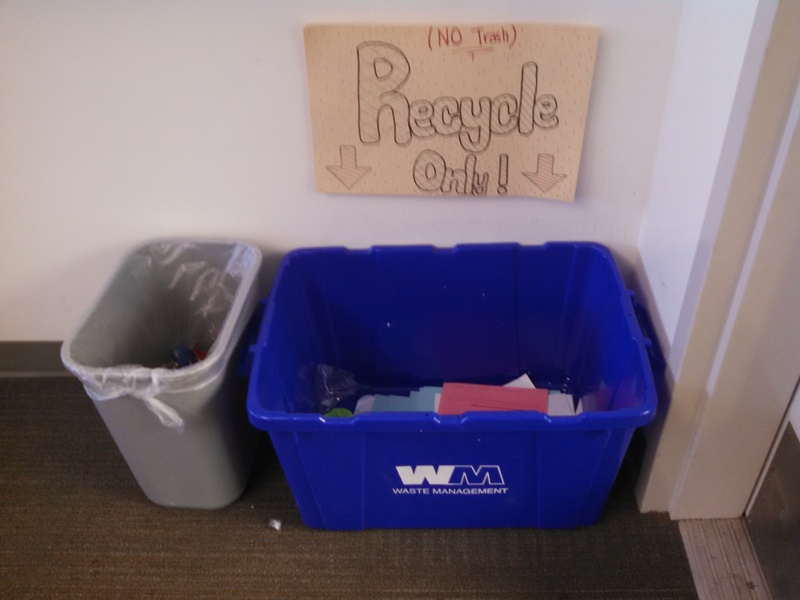 Offering recycling containers in classrooms is a great way to encourage students to reduce, reuse and recycle. Recycling one ton of paper saves 17 trees and almost 7,000 gallons of water, so launching an in- class recycling program makes a big difference in creating a healthier environment! 0 Responses on In-Class Recycling"